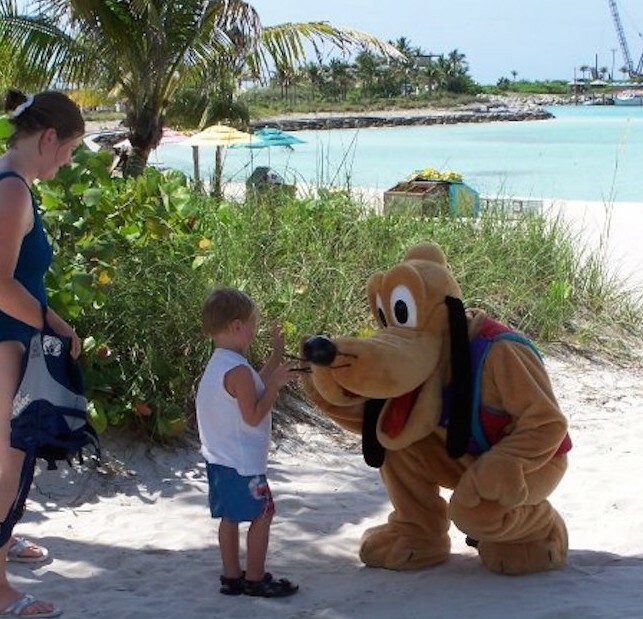 Disney Island Castaway Cay #Disney | Be Plum Crazy! Tell people that you are going on a Disney vacation and they will inevitably ask you which of the Disney theme parks you are visiting. 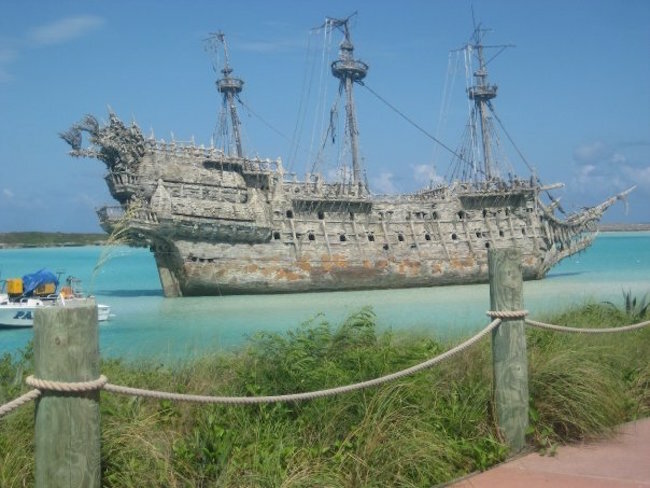 Unknown to many people, Disney actually own a private island in the Caribbean Sea in the Bahamas called Castaway Cay. 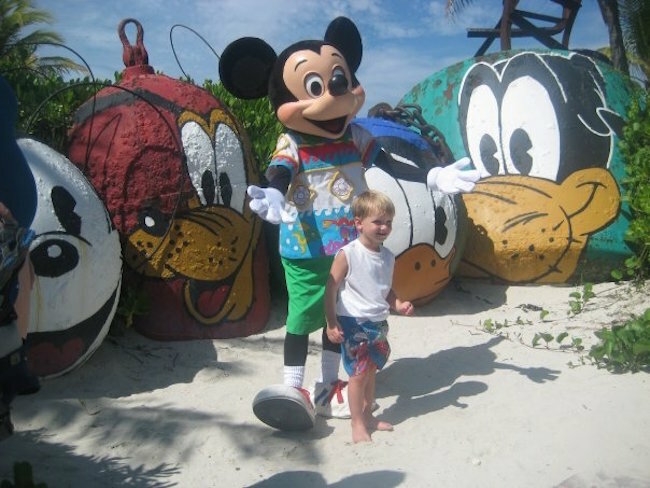 However, accessibility to this Mickey Mouse shaped exotic magic island is only through Disney cruise ships. Yes, Disney operates cruises too and in fact owns four of the most fun and luxurious cruise ships. We had the pleasure of cruising on the Disney Dream. Castaway Cay, the beautiful Pacific island is lined with pristine beaches dotted with colorful umbrellas. Under each of these huge umbrellas are two adjustable lounge chairs and two beach chairs to relax in. There are also hammocks scattered around the beaches for visitors to doze off in the cool sea breezes. 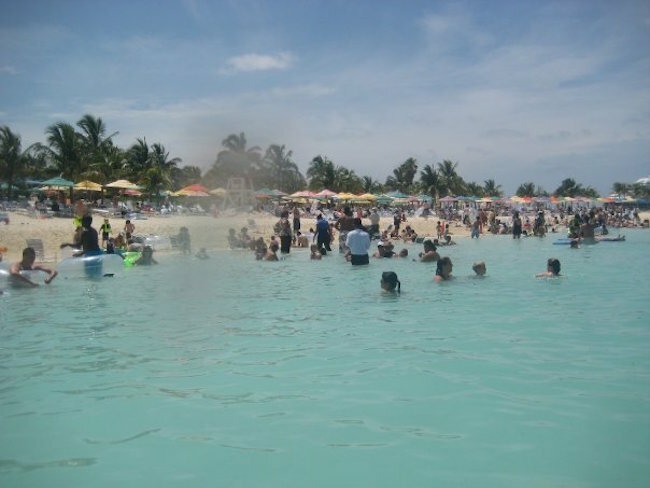 There is a “Family Beach” for wholesome family fun and in Serenity Bay is the “Adult Beach” for those above 18 years old and a “Teen Beach” for teenagers. As you disembark from a Disney cruise ship, you can simply walk or head to the Tram Station for a tram ride to all three Castaway Cay beaches. The water around Castaway Cay is crystal clear and is also comfortably warm for most of the year. As the beaches are sheltered, the tides rise and ebb with barely a ripple. 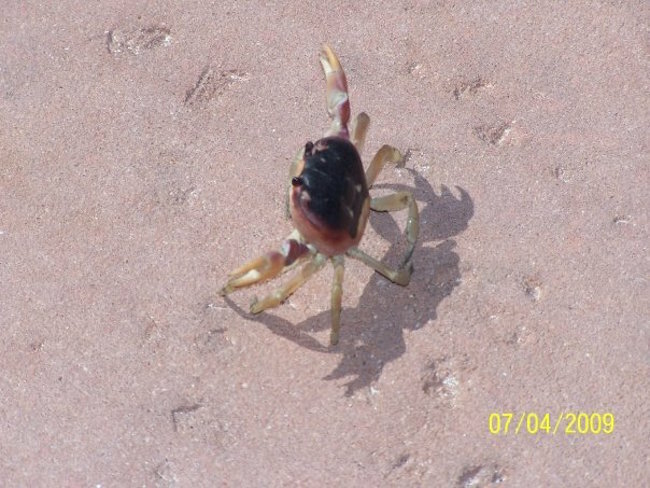 This is certainly an excellent water condition for swimming, snorkeling and scuba diving. If you do not wish to plunge into the water, you can book a Stingray Adventure excursion and interact with these fascinating sea creatures. Feeling hungry? Your hunger pang will be satisfied with a smorgasbord of seasonal fresh fruits and delicious barbecue meats, mouth watering seafood and the best potato salad you have ever tasted. 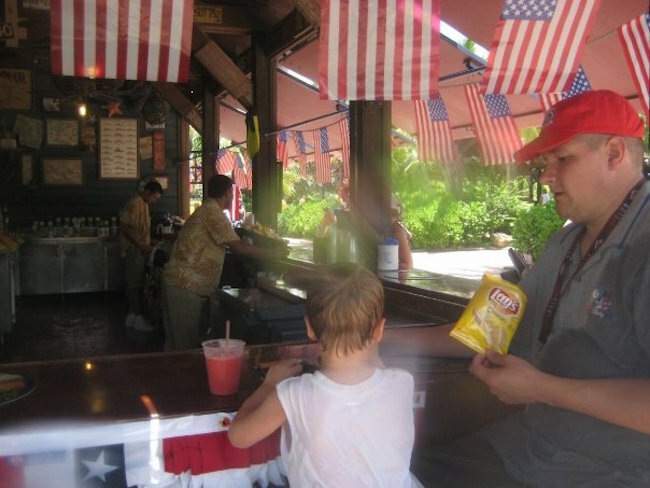 Naturally, there is also a souvenir store for you to get some Disney mementos to remember this island paradise fondly. Exclusive Disney Castaway Cay merchandise is sold here as well as any essentials you may have forgotten such as swim wear, sunglasses or sun blocks. There are also stores which sell Bahamian handicrafts, however the prices for these handicrafts are much higher than in any Bahamian port of call. Hair braiding is a very popular vacation activity in Castaway Cay. Everyone wants to look like a Rastafarian or be a Jimi Hendrix look alike. Another relaxing activity is to head over to Serenity Bay open air massage cabanas for some body pampering. There are many other excursions to choose from such as going on guided jetski tour, a banana boat ride or go parasailing. 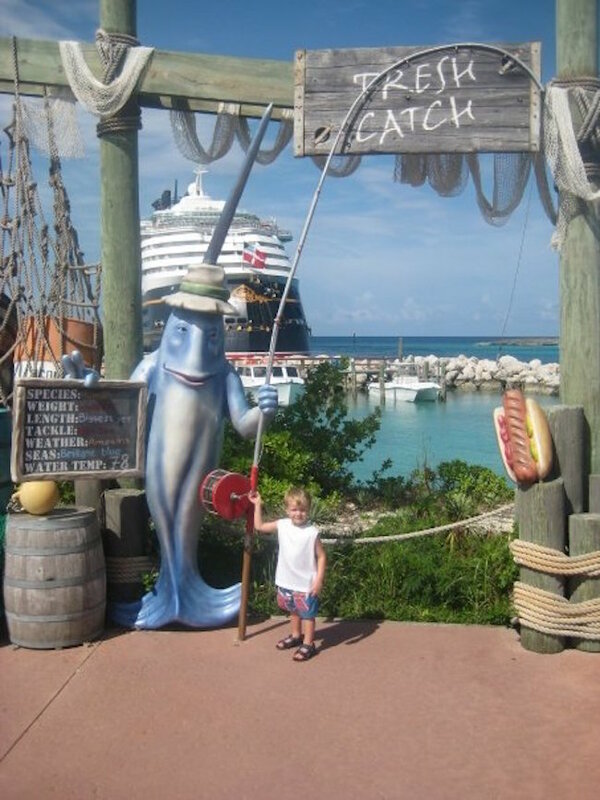 Just about everything you can expect to do at a beautiful beach, Disney’s Castaway Cay has them all and more. If spending a full day under the sun is not your cup of tea, then do head for Groupers Pavilion’s sheltered area where you can play foosball, table tennis, basketball, golf, chess and checkers. There are also be favorite Disney cartoon characters making appearances and mingling with the children. 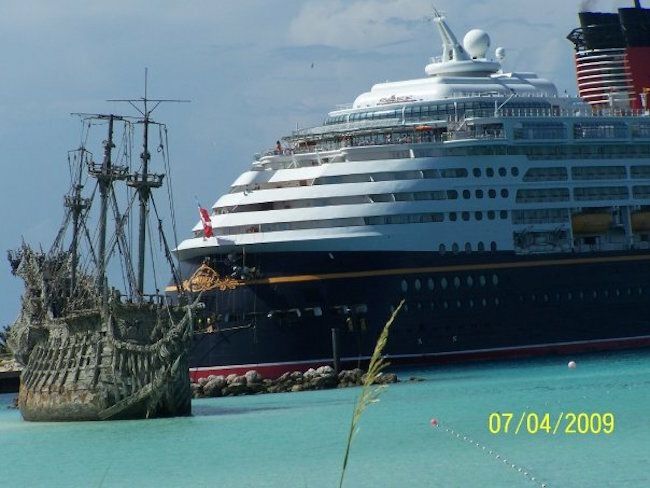 So if you are taking a vacation, why not take a Disney cruise instead and enjoy sailing to Disney’s magic island, the Castaway Cay in the Bahamas.